The Stove that never Was . . . I was introduced to alcohol stoves by my Dad when I was a teenager. 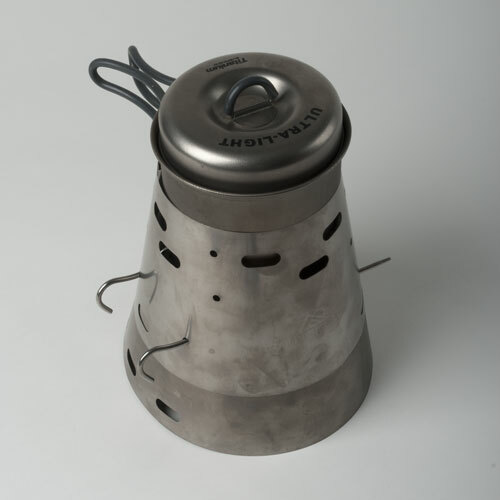 My first model was a Trangia, still being made, which is a bombproof aluminium set up packing an obese 850gr. How far stoves have come since then. 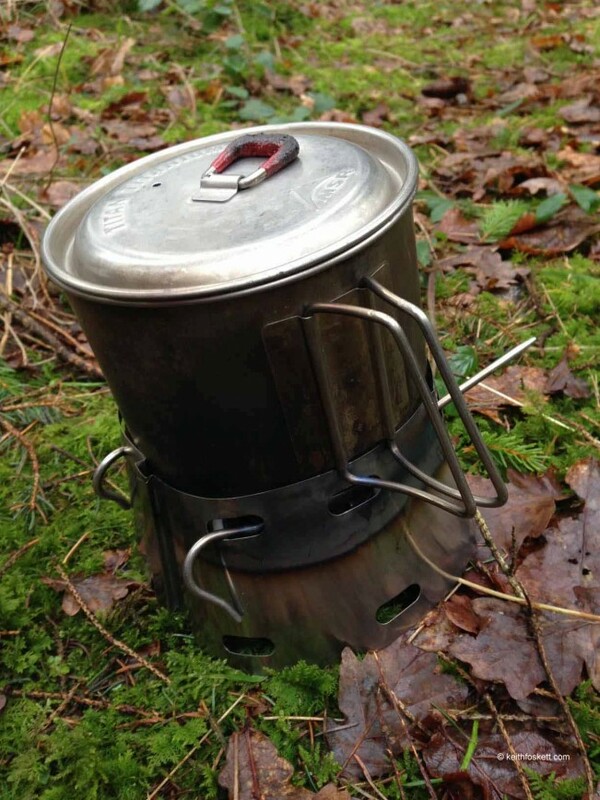 My current set up of choice is a Trail Designs (TD) Classic Ti-Tri suited to my MSR Titan Kettle, capacity about 0.9 litres which is perfect for one hiker packing a reasonable appetite. I have been using it since 2010 on my Pacific Crest Trail thru-hike, it kept me company on the Appalachian Trail last year and if I’m going on a trip when I intend to cook, it always comes with me. I’m now rather chuffed to be a Trail Ambassador for Trail Designs and last year I obtained a test model to try out, simply known as the ULA (Ultra Light compact). It was on sale for a time but it is not available anymore. Based on the Classic Ti-Tri system but as opposed to that, which is taller and encompasses all of the pot and sides and came with a plastic caddy to protect it, the ULC didn’t use the caddy but instead utilised the actual pot as storage and protection. This not only saved weight but also space. The remarkable aspect of the ULC though was its weight, a miserable, pathetic, slimmer’s dream land of just 33gr / 1.16oz. That’s in the vicinity of just one AA battery, 8gr less than one of my hiking socks, or 2 gr less than just the lid of my Titan Kettle. Such a shame you can’t get it anymore! The two versions it spawned were firstly the Sidewinder, which is suited to very wide and short pots because the cone can be packed sideways inside. The other models are known as the Fissure and Fusion, which are more suited to the skinny and taller pots. They consist of two cones that are stacked on top of each other and are able to be stored in the taller pot versions. I thought it interesting just to show you this version, the ULC, simply because it was so light and small. I do use it but the reason it is not available anymore was down to its reduced efficiency in cold conditions. I do sometimes take it with me on hikes in the summer where it does do a great job to take advantage of the miniscule weight. Remember this is not for sale, please don’t field questions to TD about the availability. 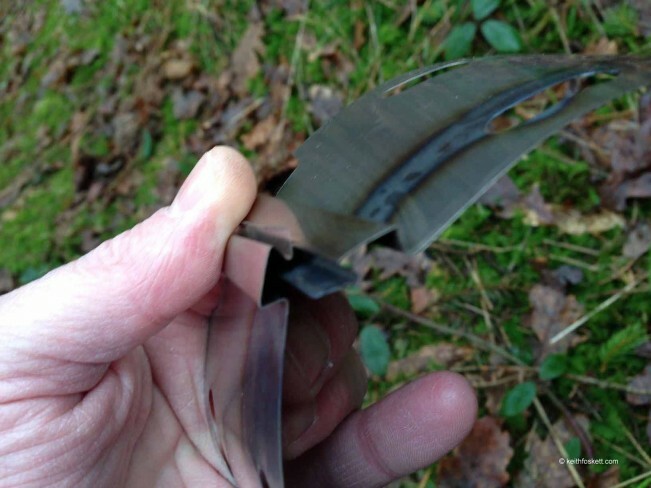 It consisted of three parts, the standard TD 12-10 aluminium burner, made from a recycled drink can, the cone that acted acted as windshield and pot stand made from titanium and two tent pegs. I have not included the two pegs in the weight because I already carry them anyway for my tent; I just simply set this up when I arrive in camp, minus two anchor points and use these two pegs with the stove, then when I’m finished cooking I use them to stake the tent back out. The pegs slide through holes in the titanium stand and act as the support for the pot. The three components – Cone, 12-10 burner & 2 tent pegs. That was it ! The burner is available with all their set ups and it’s brilliant. 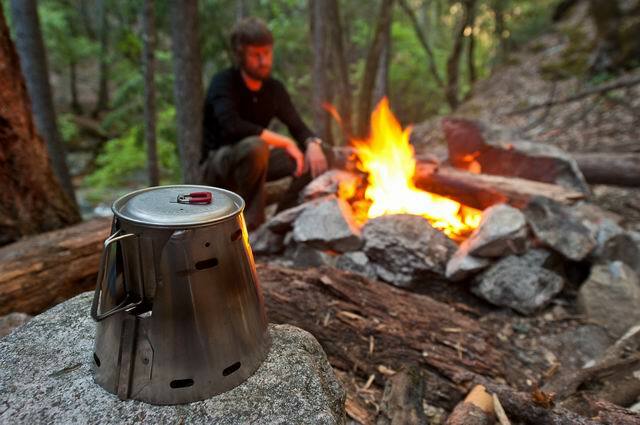 Light and very efficient, using about 30ml / 1 fl.oz of fuel to boil a litre of water. Don’t expect me to quote burn times because it doesn’t interest me, as I’ve said before to those who complain that alcohol is slow – if you’re hiking, what’s the bloody hurry? You have to be somewhere quick? The fuel is poured into the burner and lit; I’ve rarely had to prime it, even in cold weather. The simple way around priming is to hold the lighter directly under the burner to warm it, not to use fuel. I don’t recommend you hold it at the same time however . . . 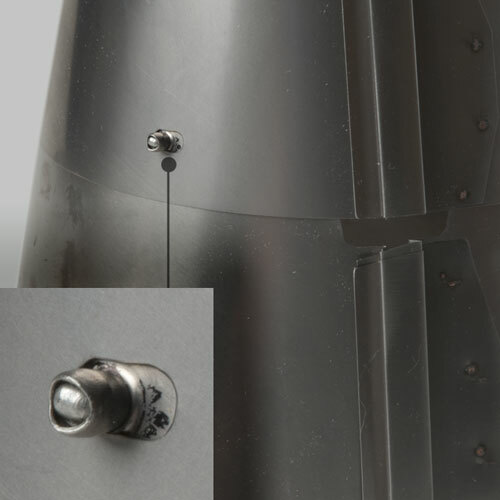 The ULC cone was secured into its round shape by a tongue and groove system, you brought both ends together and either clipped or slid them into place. This is the familiar feature on Trail designs cones. There downfall of the ULC over the Classic Ti-Tri was that it was not as efficient. The Classic Ti-Tri encloses the entire outside of the pot, the heat is not only directed onto the base of the pan but the residual warmth works its way up the sides as well. With the ULC not fully enclosing the pot, it was just the base that was heated. The only net result of this is that boiling time was a little longer and it did have its problems in colder weather. After boiling a litre of water, this was enough for me to make a hot drink, my dehydrated meal was added to the rest of the water and given a stir, the lid was replaced and the pot slipped into my pot cosy to cook. There’s a blog post on how you can benefit from a pot cosy here. The other advantage of an alcohol based system is that once you have become accustomed to your stove, you know exactly how much fuel you will need for a trip and therefore are able to take only what you will need, saving further weight. If I’m heading out for a three night hike, I know I need only take 90ml / 3fl.oz of fuel for a meal and a drink, plus perhaps another 30ml / 1fl.oz for a couple of coffees in the morning. So, if the ULC never made it to the market, what models did it eventually spawn? 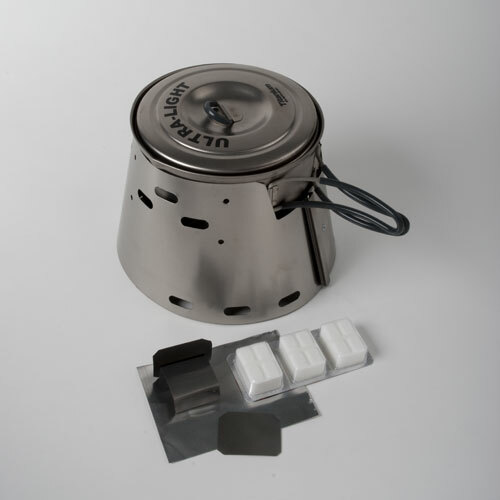 Firstly the Fissure Ti-Tri system which includes a two-piece interlocking titanium cone custom sized to fit inside your pot, the titanium GramCracker solid fuel kit, the lightweight aluminum 12-10 stove with integrated primer pan, fuel bottle kit with measuring cup, and two titanium stakes for wood burning mode (pot not included). These are made to fit a variety of pots from manufacturers like Evernew, Optimus, Rei, Snow Peaks and Toaks. 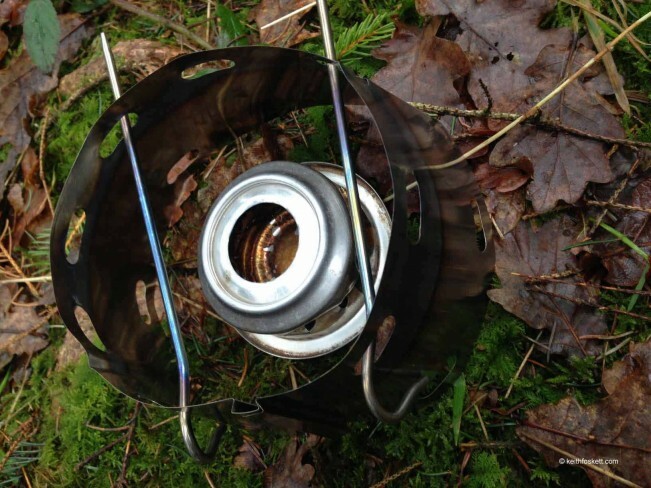 The Fusion Ti-Tri improves on the retired ULC Trail Designs 3 fuel (alchol, esbit, wood) backpacking stove by providing a split cone approach to protect more of your stove and pot but still pack into your pot. 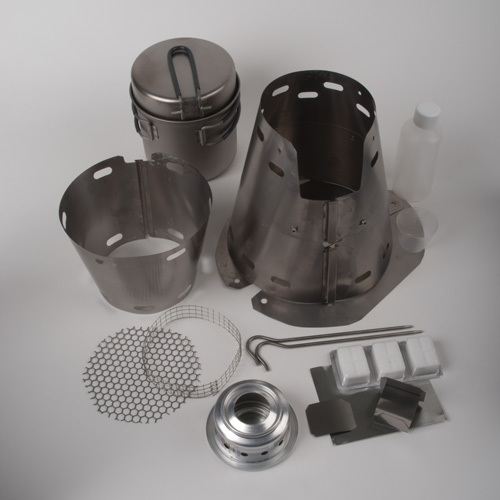 It comes with a two-piece stacking titanium cone custom sized to fit inside your pot, the titanium GramCracker solid fuel kit, the lightweight aluminum 12-10 stove with integrated primer pan, fuel bottle kit with measuring cup, and two titanium stakes for wood burning mode. (pot not included). 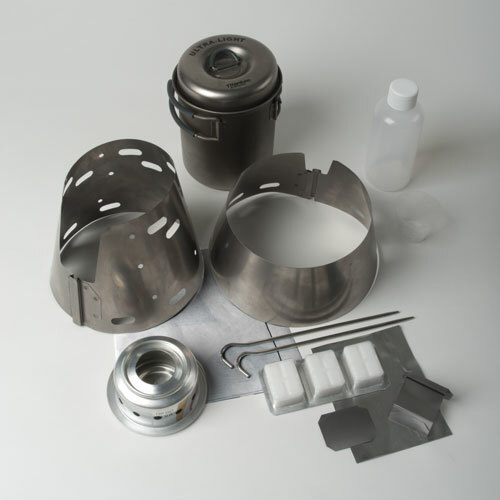 Again, it is produced to suit a variety of pots from manufacturers such as Alpkit, Backcountry.com, BPL, Brasslite, Esbit, Evernew, Mountain Laurel Designs, Snowpeak, Stoic, Ti-Goat, Tibetan and Vargo. Both models can also be ordered at extra a little extra costs with the extra inferno accessory which turns them into a wood burning gassifier/afterburner. It includes the inverted titanium Inferno Insert and lower grate system. My Classic Ti-Tri is still my set up of choice; it’s bombproof and has proven itself over nearly 6,000 miles of hiking. If I get my hands on one of the Fissure or Fusion models I’ll be sure to post something for you.